#HappyKWONJIYONGDay trends in celebration of G-Dragon's 30TH BIRTHDAY! Yumi Kim , Aug. 17, 2018, 2:01 p.m.
Today is G-DRAGON's 30th birthday!! The Big Bang leader was born on August 18, 1988 and today he celebrates his big 30th birthday. 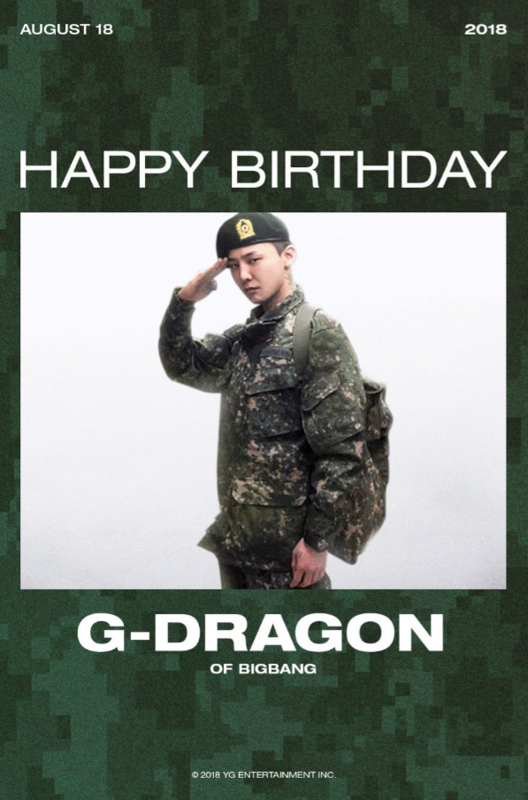 Although he is currently serving his duty in the military, fans all over the big globe are celebrating his birthday and sending him a lot of love. Twitter is currently trending the #HappyKWONJIYONGDay in honor of the Gold & Diamond Boy, G-Dragon.